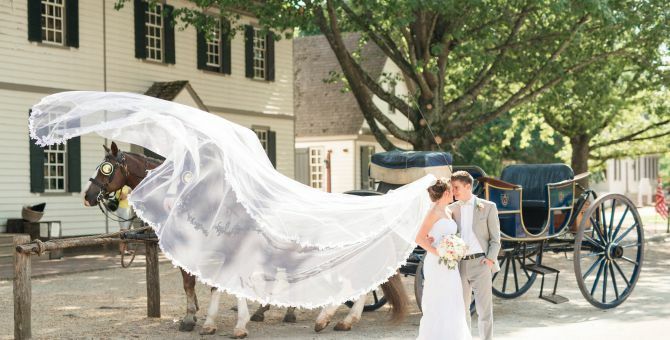 Create a truly memorable conference, event, or wedding at one of the many unique venues of Colonial Williamsburg. From a lavish ballroom affair, to an intimate garden gathering and every occasion in between, you’ll find the meeting space ideally suited to your specific needs. With 48 meeting rooms, 67,000 square feet of function space, and stunning outdoor venues, everything you could need is close at hand, plus your guests will have access to all the exceptional resort facilities Colonial Williamsburg has to offer. Make your function stand out from the crowd with state-of-the-art meeting spaces and exceptional outdoor venues. Celebrate and say "I Do" surrounded by the timeless elegance that only Colonial Williamsburg can deliver. From intimate to elaborate, let us help you create a wedding experience as unique as you are.